In many birthday celebrations the birthday cake is often the focal point. 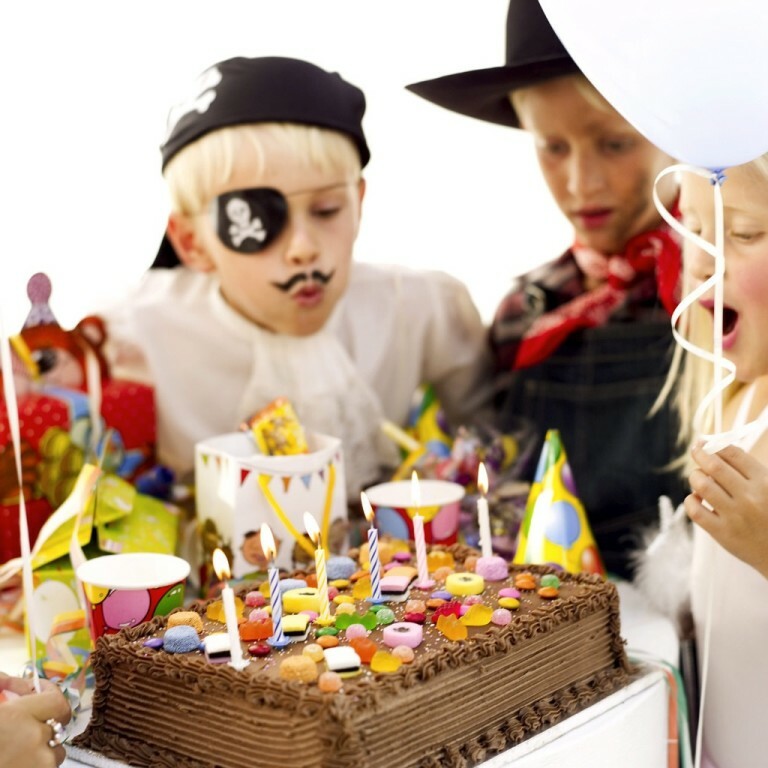 Even though cake flavors and frosting are important for adults, children are usually more impressed by the design of a birthday cake. There are many ideas for cake designs but it is important to use designs that are gender and age appropriate. When choosing the most appealing cake idea for your daughter, you should think about the symbols she likes such as flowers, ponies, butterflies, handbags or princesses for example. You can then recreate her favorite symbol in the shape of her birthday cake. The following are some awesome cake ideas for young girls. 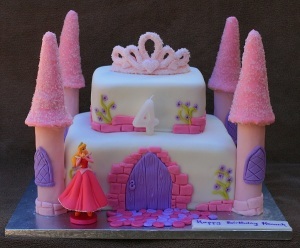 Castles are another great theme for girls birthday cakes. You can create a triple decked cake. Each layer should be progressively smaller than the other. Stack these layers in descending order and ice them with pink or white frosting. You can then place a number of sugar cones upside down on the birthday cake to serve the role of turrets. You may then decorate the rest of the birthday cake with candies. A princess or fairy tale themed birthday cake may be both fun and attractive. Choices for such a birthday cake include Disney princesses like Cinderella, Belle and Sleeping Beauty. You may also create a sheet cake that has a frosted scene from the favorite movie of the birthday girl. 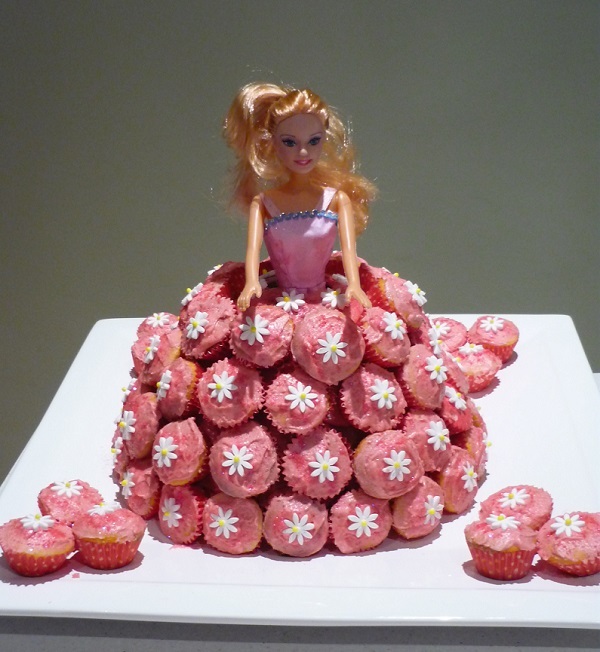 A barbie doll cake can be easy to make using a frosted ring cake or stacked cupcakes as the dress. Other fairy tale ideas great for birthday cakes include Little Red Riding Hood, and Rapunzel. Generally, Disney characters appeal more to girls than boys. Younger boys tend to be more interested in soldiers, guns and footballs. Girls love Disney characters like Mickey Mouse, Aladdin and Donald Duck among others. Your daughter can be pleased with a cake that features one of her favorite Disney characters. If your daughter is a little older, or even a teenager, she may appreciate a cake that is shaped like a designer handbag. You could create a cake that is shaped like a Prada or a Louis Vuitton handbag. Find a photo of a gorgeous handbag and then frost your cake to match. By cutting up a simple slab cake you can make various handbag shapes too. You can easily make a butterfly cake by baking a large sheet cake, cutting a butterfly shape out of it and setting the extra scraps aside. You can then ice each wing of the cake with the favorite color of your daughter and its middle with brown icing. 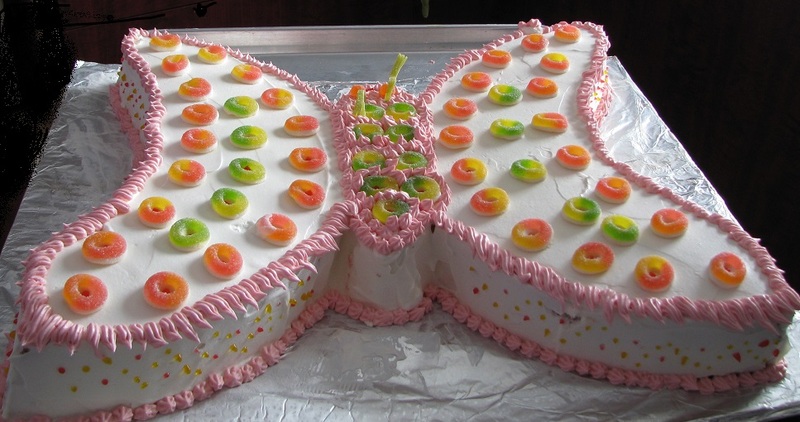 Decorate the wings with several large circles of other colors of icing and then add a thin licorice mouth and two gumdrop eyes to complete the butterfly design. For a really quick and easy butterfly cake simply frost all one color and decorate with your daughters favorite lollies. Most young girls love baby animals such as horses, puppies and kittens. You can shape the cake into the shape of an animal or create a scene with little plastic animals on the cake. For example, you may decorate the cake with modeling chocolate showing horses grazing in the field, or green coconut for grass with toy horses; or kittens playing with mini balls of yarn. It is easy to design birthday cakes for girls around a flower theme because you can choose from many different types of flowers. Some of the flower design options to choose from include roses, daises, lilies, carnations, sunflowers and violets. You can bake a simple cake and decorate its borders with flowers. You may also use the flowers to decorate the top side of the birthday cake beside a happy birthday message. A girl’s birthday can be personalized by finding out about her favorite flowers. Birthday cake ideas are limitless. Think about what your little girl loves, her favorite interests. By using these birthday cake ideas for girls, you will create a cake that your daughter will love and remember for many years. Send in your photos to have them added to this post.